Fall is the season of the Goddess in the culture of yoga – in India, the diverse forms of the divine feminine are celebrated at this time of year in a nine day festival called Navaratri. This happens just as here in the West, the Earth and we who inhabit her are turning inward to stoke the fires of our ferocious creative abundance. 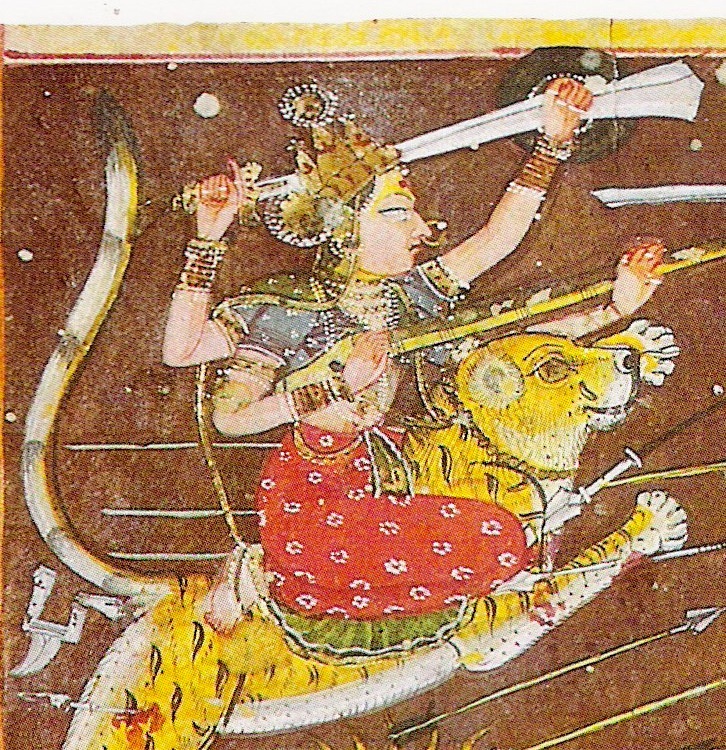 This fall, in Alison’s Myths & Methods series, we look at Durga, the Great Mother. The first part of class will be an active to vigorous combo of alignment work with breath based movement. In this particular series, we will be focusing on shoulder alignment, hip opening, and core work in preparation for arm balancing. There will be a philosophical / mythological backdrop (theme) on the topic of Durga and her place in the Yoga tradition. The last bit of our time will be story time – you do extended savasana and/or restorative work, I wax poetic about the Goddess D, and the way she is none other than you. Cost: $96 – 10% TPY Member Discount – advanced enrollment highly recommended Please note our new time slot – 7:15 – 9pm!